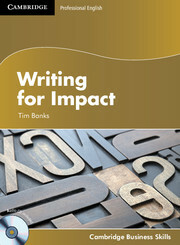 Writing for Impact is an innovative and broad-ranging new course for learners of business English who want to excel at writing. 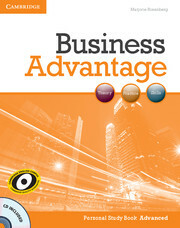 The course's 12 modules take learners through the topics they will need to succeed in business. It covers a wide variety of topics from emails and letters to meeting minutes and agendas. The progressive syllabus ensures learners will improve their overall knowledge and ability in writing. The course comes with an audio CD, which provides both tips and input on producing written documents in a business setting and extracts from meetings and phone calls. There are also full Trainer's Notes for the teacher and templates to aid learners in producing a range of written communications, which can be downloaded online.